New owners and fresh updates for 2017! NEW PICTURES JUNE 2017! 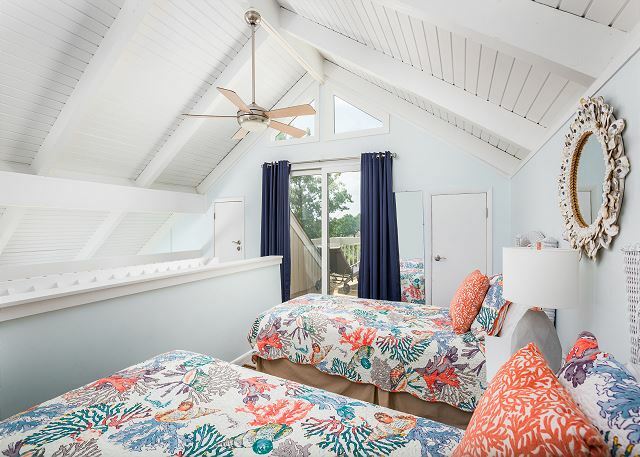 We are so excited to welcome the new and improved 949 Sealoft Villa! New bedding and updated baths. New living area furnishings. Flat screen TVs in living area, master bedroom and 2nd bedroom. Check out the new and improved 949 Sealoft Villa! King master suite, queen bedroom 2 with bath and bonus loft bedroom with two twins. 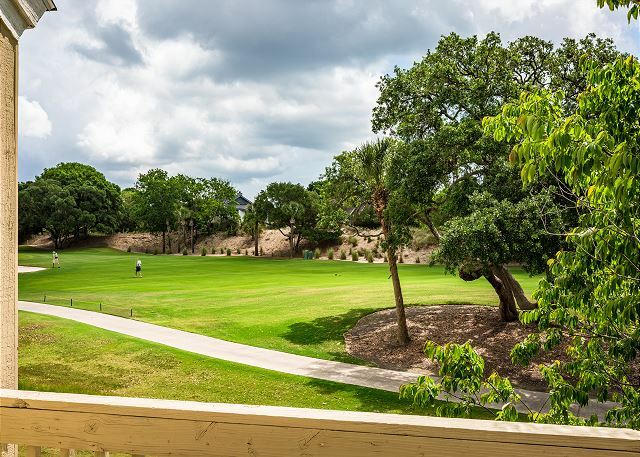 Great location with multiple decks and golf views. Beach access is across the street from the entrance to Sealoft. You also have a community pool only for Sealoft Villa guests in additional to FREE amenity cards for the Club. WIFI 2 g and 5 g networks for streaming fun! SMART TV in living room so you can stream with your Netflix account!!! We had a very pleasant stay. The unit is clean, cheerful and well 's a small thing but I really appreciated good knives as I enjoy cooking. Seabrook itself is gorgeous and and the indoor pool is the best one ever. The rental was in a great location. Central to the beach, Pelican's Nest, Freshfields. It was very close to the pool which was great too. It had most of the amenities in the home. It was clean. All emails and contacts were easy and information was plentiful. We've stayed in this villa before and enjoyed it even more this time as some updating occurred since our last visit. Suggestions to the owners for further improvement: (1) Need brighter lights in the both bathrooms, especially the Master Bath which was very dark by the mirror no light at all above the stall shower; (2) need new bed pillows for both bedrooms on 1st floor - plenty of lovely decorative throw pillows but the sleeping pillows were flat, hard and uncomfortable; (3) replace the bathroom toilets! - so old and low - newer, more efficient comfort height toilets would be huge improvement to the already updated baths; and (4) trim or remove the bushes flanking the stairs up to the front door which improves safety and brightness for night entry. The new decor updates are lovely and the views from this villa are very nice. Hope to return again soon! 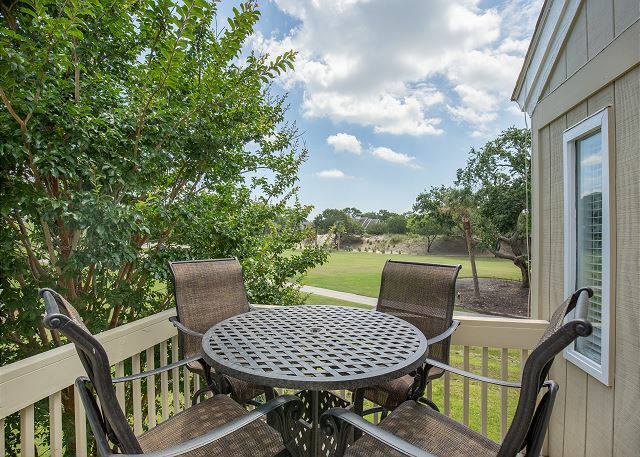 949 Sealoft is the perfect place to enjoy Seabrook Island. 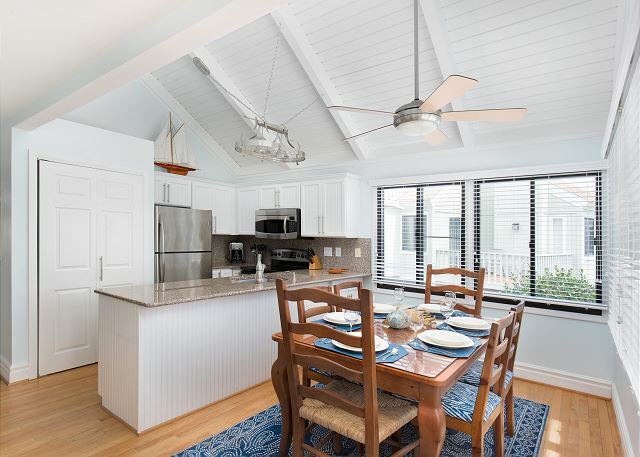 This properties appeal starts with a short walk to pristine North Point beach where we spent hours relaxing seaside enjoying surf and sand, acquiring many sea treasures to serve as the best souvenirs of our days. 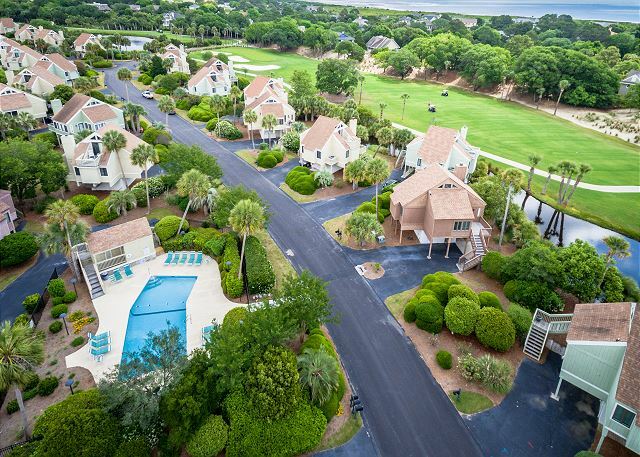 The property is also in close proximity to clubhouse, beach amenities, and golf which are all first class and we were able to utilize as though we were member island dwellers! As a stand alone unit it provided us ample parking and all the comforts of home (including grill and laundry) without sharing common walls. The villas many decks afforded us and our guests perfect sunrise and sunset views. We also admired the golf course, chatted with friendly golfers, and saw many deer. All set to the soothing backdrop of the waves with nightly star displays unseen elsewhere. Walking into the villa was a such a pleasant surprise. 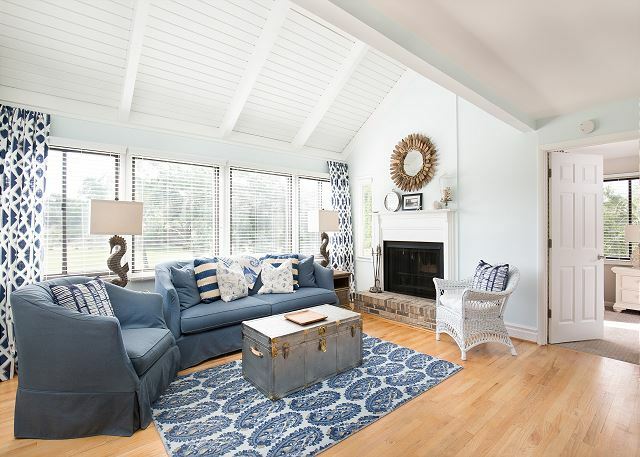 I can best describe it as current style meets cottage charm. 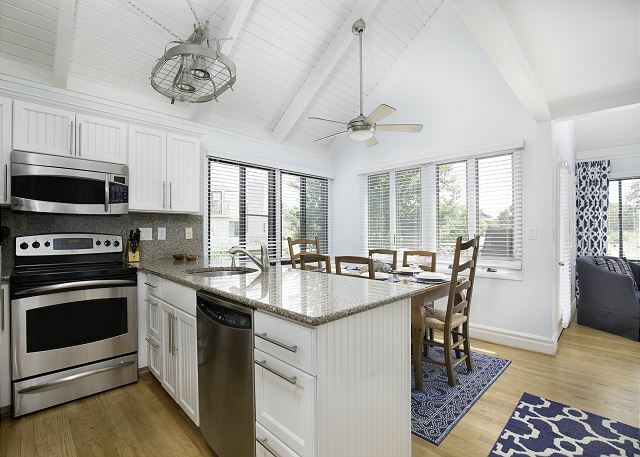 The updated kitchen is well stocked with white cabinets, solid granite, and stainless appliances. The baths are beautiful and functional with stone counters, updated faucets/sinks, finishes, and lighting. The furnishings, flooring, and color linens were very comfortable with a designer feel. Flatscreen TVs cable and WiFi enabled for Netflix. Everything was clean and well maintained. As reviews go we couldn’t have asked for anything more and everything worked well. Luckily we didn’t have any need, but we felt very supported by the staff of Pam Harrington Exclusives. We’ll certainly be booking this villa again! We enjoyed staying in 949 Sealoft Villa for Spring Break. It was close to a boardwalk that takes you directly to North Beach, so it was an easy walk back and forth. The Villa was clean and very relaxing. We enjoyed sitting on one of the 3 decks having breakfast. It was fun to watch people golf, listen to the birds, and listen to the surf. The kitchen was small, but had everything we needed to make all our meals. The Villa was the perfect size for a family of 4. I would rent this unit again. Since relocating from Seabrook Island in 2010, to be near our family - we have returned each year: Returned to Paradise! We especially enjoy reuniting with very special friends, neighbors. We rented 949 Sealoft and had a great time. The location on the golf course was beautiful and quiet. The unit was very clean and had everything we needed. 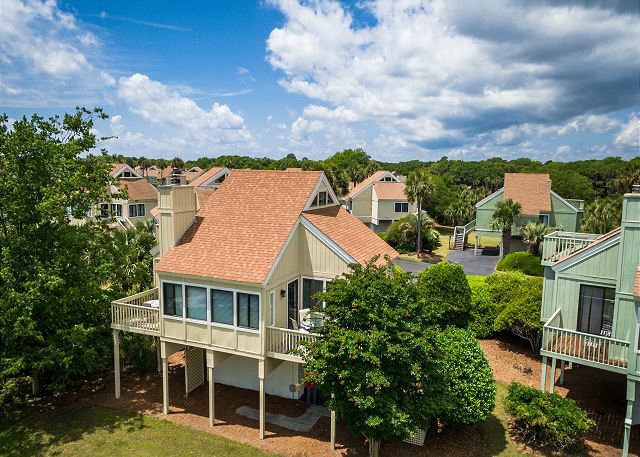 We have been coming to Seabrook for 5 years and really enjoy it. This is an Excellent Sealoft property. The description was accurate. Brand new Grill was very nice. Full size Washer and Dryer in basement great for laundry. Only complaints Fridge makes an awful noise it sounds like a bear, the noise is infrequent but very loud and annoying. 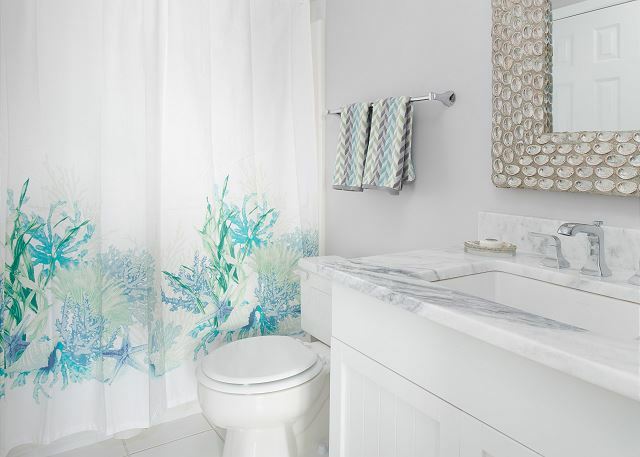 The Toilet in Master Bath needs to be fixed water will run if you don't jiggle handle properly. Need updates in Bathrooms and some of the cabinets in the kitchen were broken. Thanks so much Mr. Burke! We always appreciate your stays with us. We did repair the kitchen cabinet at departure and the toilet. Please don't hesitate to call us for assistance when you are in house. We are here for you!!! We look forward to assisting you again in the future with a stay! We booked this location for our out-of-town family to stay in for our wedding. It was perfect! The staff was so helpful, the unit was perfect and my family enjoyed it so much that they want to come back to the same place. 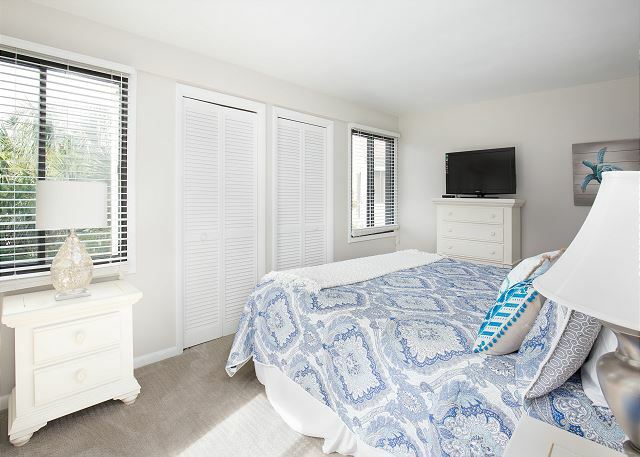 Wonderful access to the beach and beautiful views and the unit had the perfect living arrangements. We visited less thana week after hurricane matthew and were extremeky impressed with our rental agent's ability to get the unit ready so quickly. Also she maintained contact with us during the time of the hurricane and our check in date to keep us apprised of the situation. The Seabrook island crew also did a tremendous job clearingthe roads and removing major debris. We have rented on SI many times and as usual had a great visit. this unit was very nicely appointed-it is our fifth year staying in this type(sealoft/treeloft) and this was the best one yet. when we arrived,we realized that there were no screens in the living room and when and we called PH seabrook exclusives-- they sent over a screeen fellow who installed two custom screens. unfortunately we had not notice that the sliding screen door to the deck off the master bedroom did not work or we would have brought it to PHSE's attention when we talked to them---(we must admit that this has been the case with most of these type units that we have rented in the past) so i would suggest that it be fixed. we have been vacationing off and on at seabrook island for 20 years and this year was our best experience thus far. the unit is bright up-to- date and roomy and the people at PH seabrook exclusives were very responsive especially betsy. We enjoyed the unit. I didn't like where the washer and dryer were located. Hard on older people with all the steps. Seabrook Exclusives was terrific. 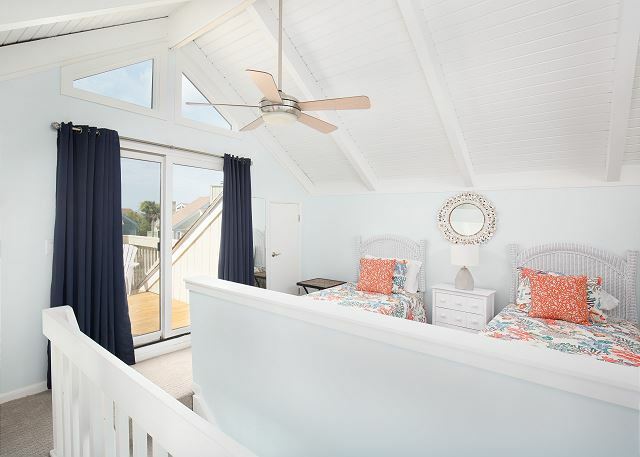 We have stayed at Seabrook many times over the years and this was one of our best experiences. The agency was incredibly helpful, responsive and pleasant. For every question prior to and during our stay they responded within 24 hours (usually far less than that) and always with a smile. They also checked up during the week to ensure we were satisitied. 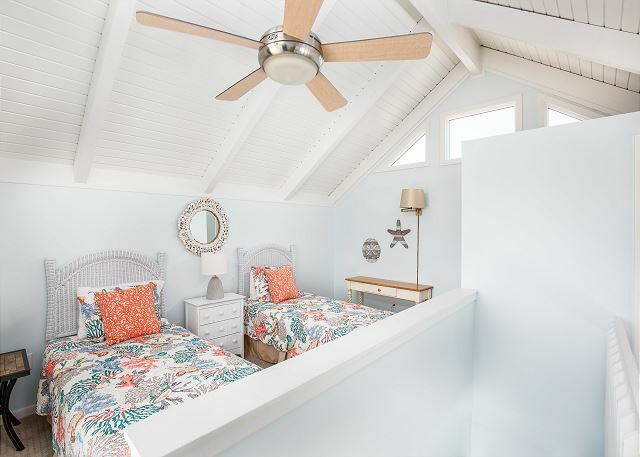 The villa was in a great location as represented, it was clean and well stocked with items that can be missing such as beach chairs, movies, and instructions about various things specific to the property. We had a wonderful visit and would certainly use Seabrook Exclusives again without hesitation. the rental staff was very professional and responsive. the unit was in terrific shape and had been painted since last year so looked even better.our mid term cleaning was very thorough. Management company folks are excellent! The villa was perfect. Great location, quiet neighborhood. The villa was awesome. There was enough room for everyone to have their own space, living room and kitchen area very comfortable and it had everything we needed. Had a few little issues with rental, but mgmt co came right away and fixed issues (apologetic and got the job done asap). Nice unit, would definitely stay there again! Great time!!! This villa was everything we wanted - clean, modern, spacious and tastefully decorated. Made for a very relaxing vacation. The walk to the beach was a little longer than expected carrying all our beach stuff but it was good exercise. 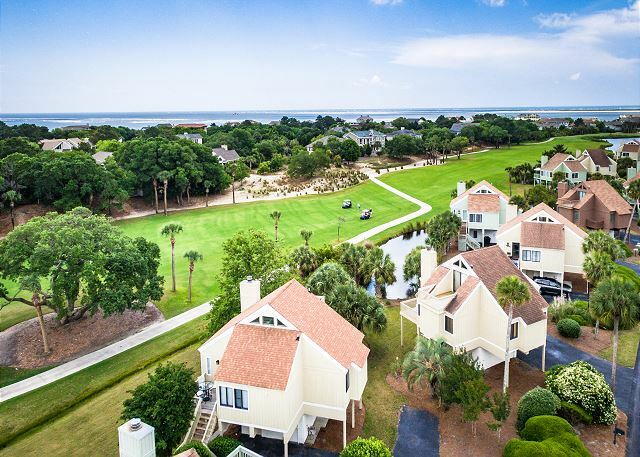 One of the best rentals on Seabrook. 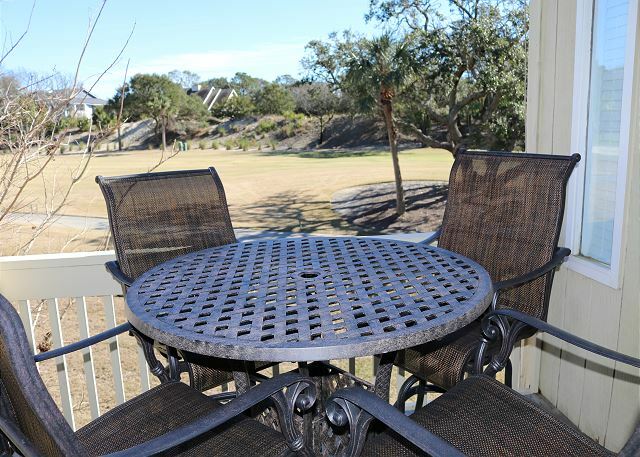 The unit was well appointed with a kitchen equipped to cope with a thankggiving dinner with friends.The views of the golf course, deer and gators were good. The washer and dryer are located downstairs which does give extra cupboard space. Fortunately both washer and dryer have timer displays eliminating multiple trips up and down the stairs. As always, my family and I had a very wonderful vacation on Seabrook. 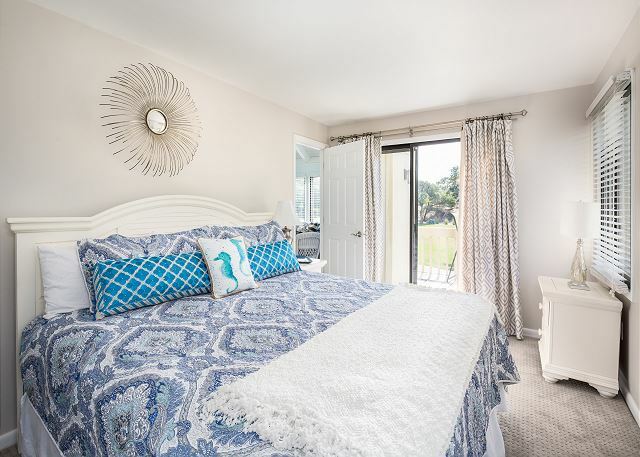 Seabrook Exclusives always makes it a relaxed, easy week. Our rental was clean, had new appliances, and a welcoming feel. My only complaint is that the laundry room was in the basement and the only access was outside. We enjoyed our stay at Sealoft Villas. It was wonderfully close to a boardwalk to the beach. The Villa was attractive, clean, and the right amount of space for a family of four. We appreciated having WIFI; especially my teens who had homework to do. The only negative was a noisy ice maker in the freezer. Not sure what that was about. Everything else was comfortable! 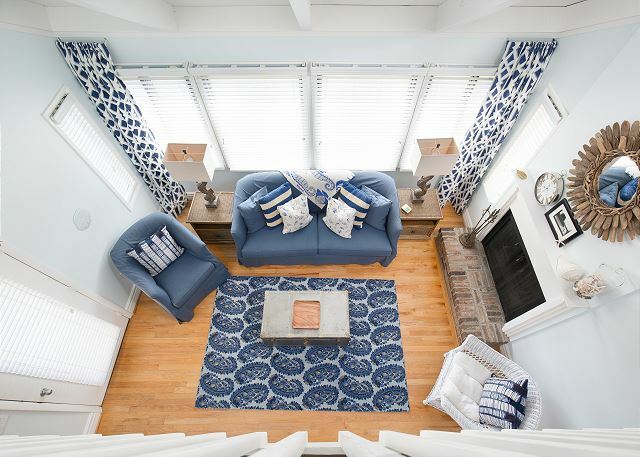 Winter is a wondrous time to visit Seabrook! Who knew that the birds and wildlife would be so different from what we see in summer? 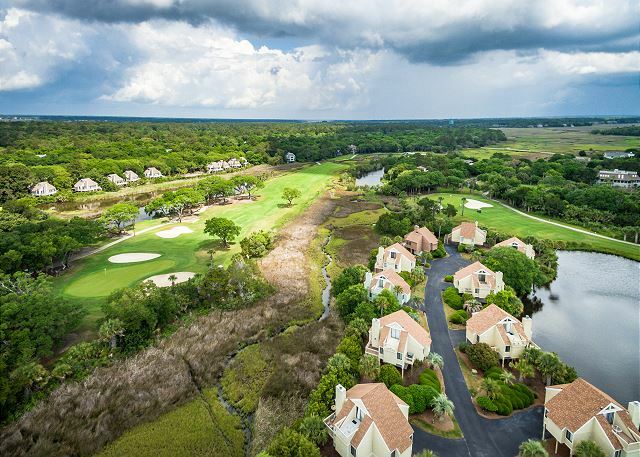 Can't wait to experience Seabrook in all four seasons! 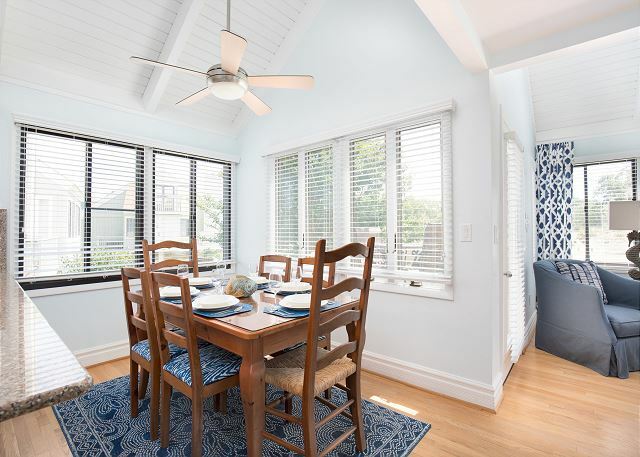 949 Sealoft is a lovely home, with comfy beds and furniture, pretty bathrooms, and a nicely updated kitchen. We felt right at home in this well-appointed villa. The golf views were peaceful and we had deer walking right in our yard! The island was so quiet and relaxing we wanted to stay forever. The only thing we would suggest is relocating the washer/dryer to the upstairs. It's a bit inconvenient to have to go outside in the cold or rain to do laundry. Otherwise, this villa is practically perfect in every way! Thank you for a fabulous vacation! We will be back this summer! enjoyed our stay- very close to the pool. Did have some issues with bugs, but it is sumertime at the beach and expected. We had a wonderful trip to Seabrook. Great location, easy walk to the beach. Very nicely appointed, with a great beach feel. 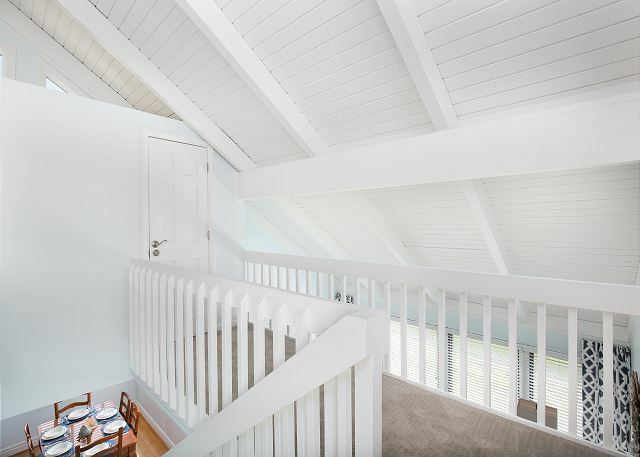 The loft is not appropriate for small children, but older ones will really like it. Definitely recommend this property. 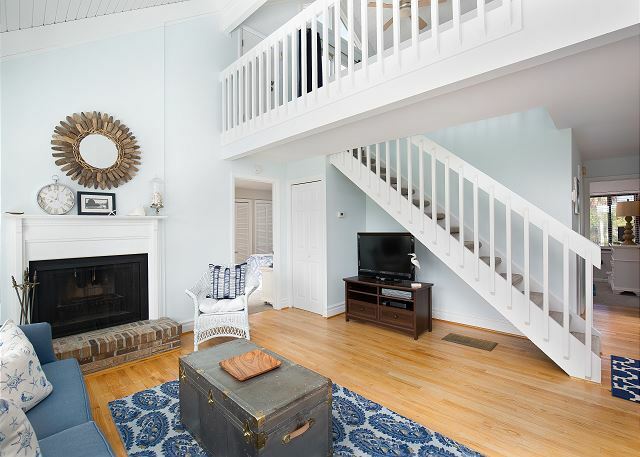 Our rental was beautifully appointed and steps from the beach!